Workflows can also be activated by text message. You can use any text message capable device to activate a workflow by following the below steps. 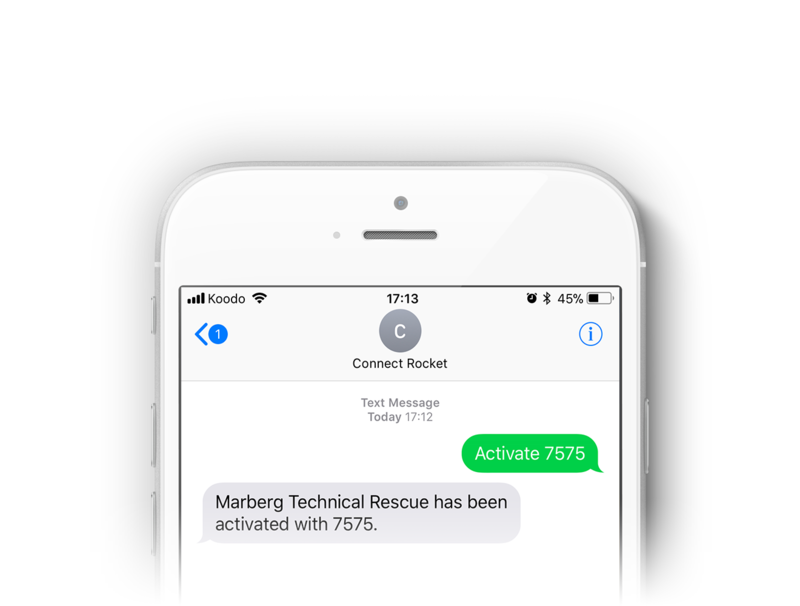 Create a text message from your mobile phone to your primary Connect Rocket telephone number. Prefix your text message with the keyword 'Activate' followed by a space and then enter your alpha, numeric or alphanumeric workflow code and hit 'Send'. You'll receive a confirmation text back and all Contacts in the group(s) associated with the workflow will be called and/or messaged within a few seconds. Activating a Workflow by telephone.